In this first column of 2014, I address how to get a list of apps on an iOS device, show some tagging tricks for multidisc sets, and offer suggestions for iTunes controllers. Q: Like many of us, I expect, I have a lot of apps in my iTunes library that I no longer need. I’d like to clean them out so I don’t waste time, disk space, and bandwidth updating them, and cut down on clutter and confusion. I have two iOS devices, and would like to know of a method to get a list of the apps on each, combine the lists, and toss out anything not on them. Do you have any suggestions for an easy way to do this? You can see all the apps installed on a given iOS device in Settings > General > Usage, but I don’t think that’s what you want. I can think of two ways to get a list to determine which apps you can delete. The first is to back up your iOS devices; if you have them set to back up to iCloud, you need to do a backup to your Mac. Next choose Go > Go to Folder in the Finder and enter ~/Library/Application Support/MobileSync/Backup. In that folder you’ll see other folders with long alphanumeric names; there should be one for each of your iOS devices. Look for an info.plist file inside one of these folders. Each of these entries gives you an idea of the app’s name, but may not be the exact name of the app. You can then get a list from your second iOS device and compare them, then compare both lists with the apps in your iTunes library. Another way is to work in the opposite direction. Go to your Apps library in iTunes, click List to display all the apps, then click the Name header in the iTunes window to sort them by name. Choose File > Print and then select Song list from the Print section in the dialog box that appears to get a list of all your apps. You can then either print this list or make a PDF, and you can go through the list, comparing it with what’s on your iOS devices until you’ve found what you’re not using. You can then go back and delete the unused apps from iTunes. 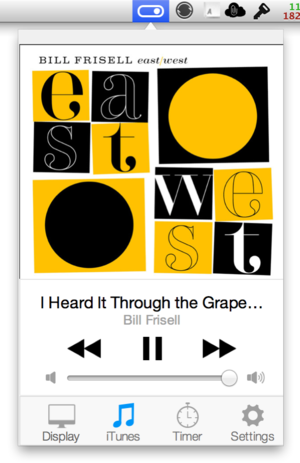 Control+ is a nifty menu bar controller for iTunes that also offers other features. 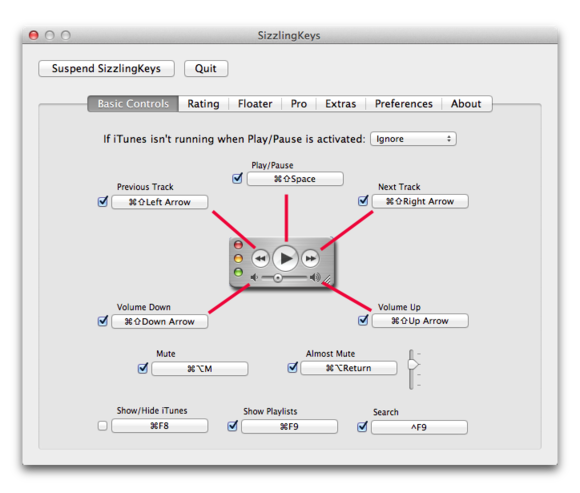 Q: What do you recommend as a controller for iTunes that sits in the menu bar? I know I can control iTunes from the Dock or MiniPlayer, but I would find a menu-bar option more convenient, since it would not take up any screen space. Suggestions? There are a number of good iTunes controllers available. I used to rely on Sophistication’s CoverSutra, but the app is no longer available. One app that meets your needs is It’s About Time Products’ Controls+, on sale for $2 for a limited time (there’s no indication what the full price is). In addition to giving you control over iTunes, it includes quick access to some display settings, and also provides a stopwatch and timer. Its iTunes controls are a bit limited, but it may be enough for you. But I prefer using my keyboard to control iTunes playback. Yellow Mug Software’s free Sizzling Keys (a $5 pro version adds additional features) lets me do just that. With a simple key press, I can play or pause music, change volume, display a bezel showing what’s playing, apply ratings, and more. Sizzling Keys' preferences show what you can control from the keyboard. Q: I have a question about tagging multidisc albums in iTunes. Setting disc numbers is an easy thing to do, and it lines up albums with multiple discs perfectly for playback or adding to playlists. But I have many multidisc albums that also give a title to each disc. Especially in classical music this happens a lot. Is there a way to tag a multidisc album with both the disc number and the title of the disc? 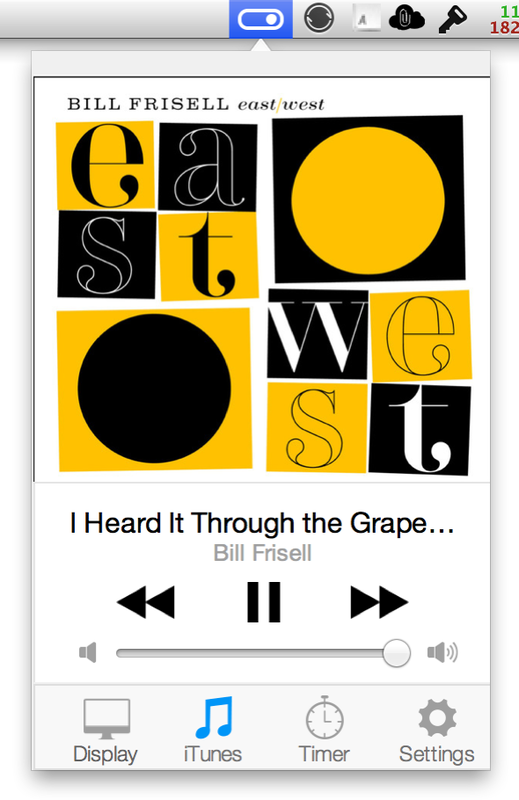 iTunes only takes into account disc numbers when there is more than one disc with the exact same title. So what I think you want to do is find a way to group related discs from multidisc sets so they show up together in iTunes. With these names, iTunes groups the albums together in an Album list, yet I still have enough unique information to be able to tell them apart. 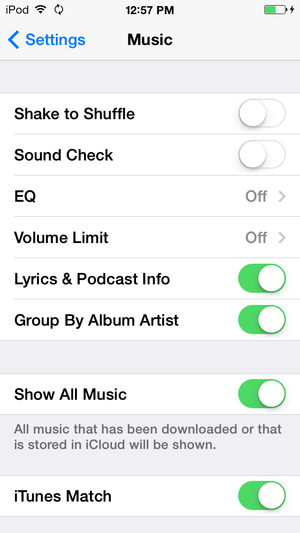 You can turn iTunes Match on or off from the Music settings on iOS. Q: Is there any way to delete all songs downloaded from iTunes Match to my iPhone and iPad aside from one song at a time? When I’m running out of space on those iOS devices, I’d like to be able to clear the downloaded music all at once. There are two ways to bulk-delete music on an iOS device. 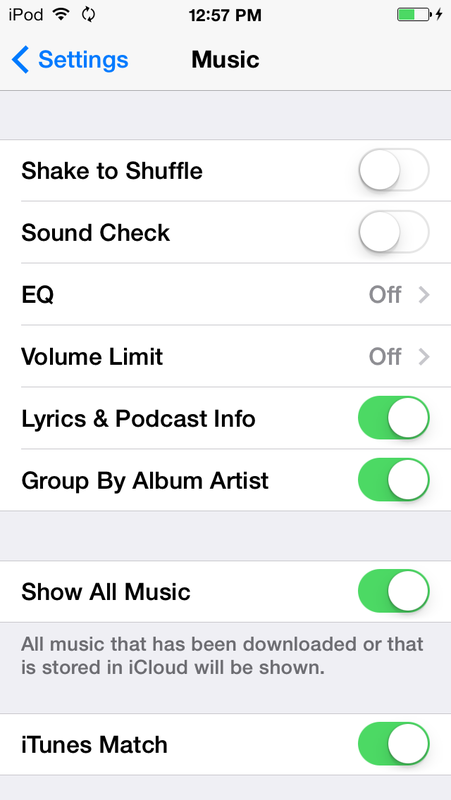 The first, if you’re subscribed to iTunes Match, is to go to Settings > Music, and toggle off iTunes Match. Wait a minute, then toggle it back on. This will delete all your music. The second is to go to Settings > General > Usage, tap Music, then, tap Edit. You’ll see a red circle with a line in it to the left of All Music. Tap this, then tap Delete, to clear all the music from your device.